Today the Art Glass Guild posted a little link to Wikipedia and their definition of what dichroic glass is. I absolutely love dichroic glass and the sparkle and the glow of it so I thought all of you needed a bit of information regarding what it is and its origins. So check out their link. 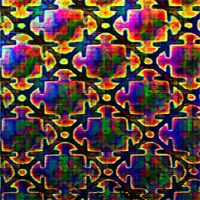 They dispute the claim that dichroic glass was created by NASA, saying it’s been around since the 4th century AD. Wow! I always used that NASA story in my explanations. 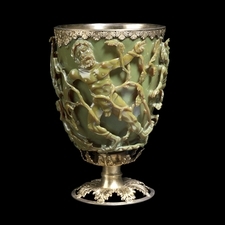 Check out the British Museum’s story about the cup…and then check out some serious dichroic eye candy over at the CBS site, that’s Coatings by Sandberg. Yum! !